Favola is a beautiful restaurant located on the 8th floor of Le Meridien Kuala Lumpur. 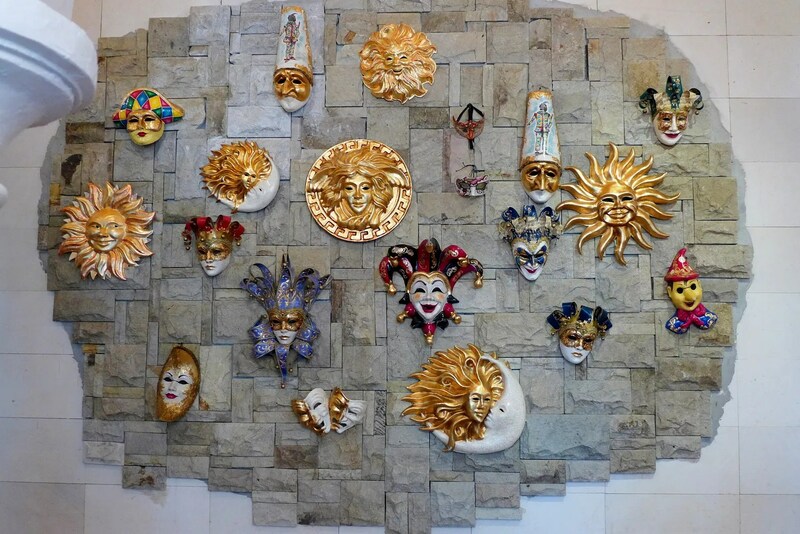 Blessed with a rustic Italian setting complete with Venetian face masks, plush red chairs, patterned floor tiles, this restaurant is perfect for a romantic date in the evenings. During the day it’s much more relaxed as the restaurant is blessed with plenty of natural light and a pool view. There are private rooms to accommodate small groups too. The menu here is extensive with strong focus on Seafood dishes. 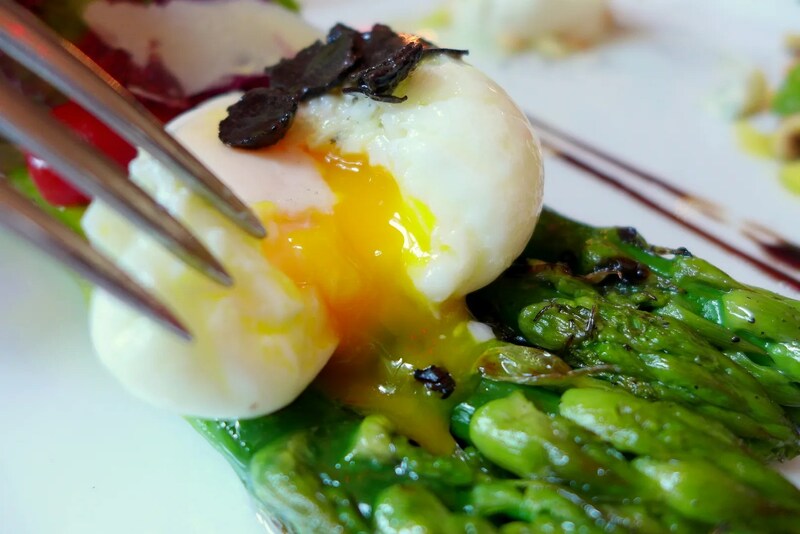 No molecular gastronomy to be found, but skillful execution of Italian classics with plenty of innovation while letting the quality ingredients speak for themselves. “Patron’s satisfaction is the measurement of my success and a passion for the culinary industry drives me to create greater meals.” Chef Mustafana is expressive in his cooking and leadership of the kitchen where he always aims to make every guest experience a favourable memory. The bread at Favola is well-known and comes in several varieties, but it’s the spicy chili laced focaccia that is the most interesting. 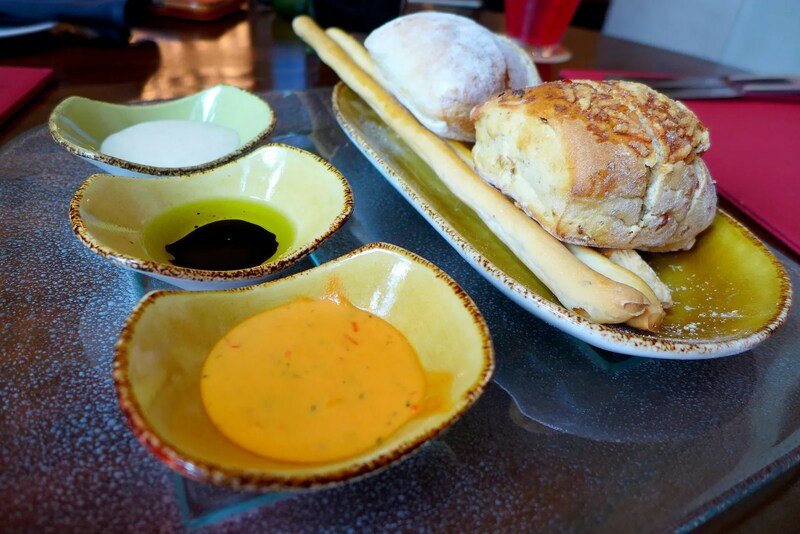 The condiments for the bread: Extra Virgin Olive Oil and Balsamic Vinegar, White bean dip and Mixed Vegetable Aioli; it’s hard to pick a favourite. Blue cheese lovers should try the Rucola e Salsiccia Anatra, a beautiful mountain constructed with Arugula, Sliced Pear, Gorgonzola Cheese, Duck Sausage, and Toasted Walnuts. It’s a beautiful sweet and savoury combination. Check out the size of those asparagi, imagine how tender they are. 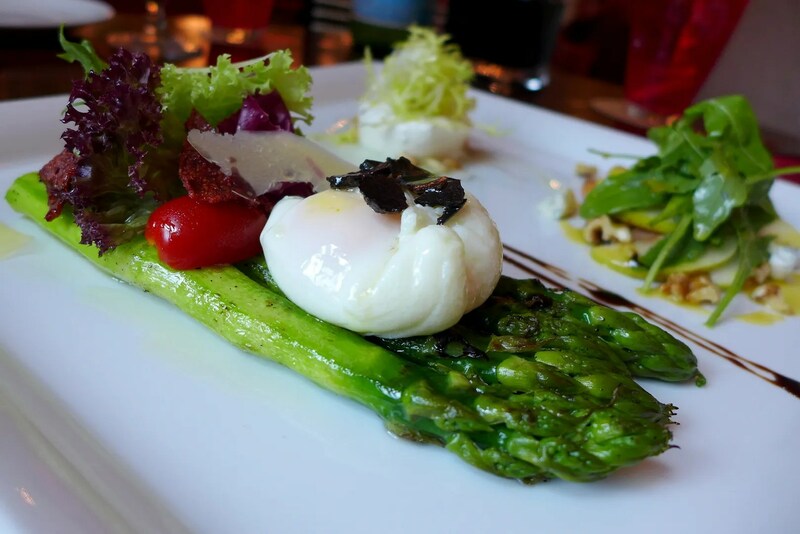 Burrata means “buttered” in Italian, and Burrata cheese is an Italian Cheese made from mozzarella and cream. 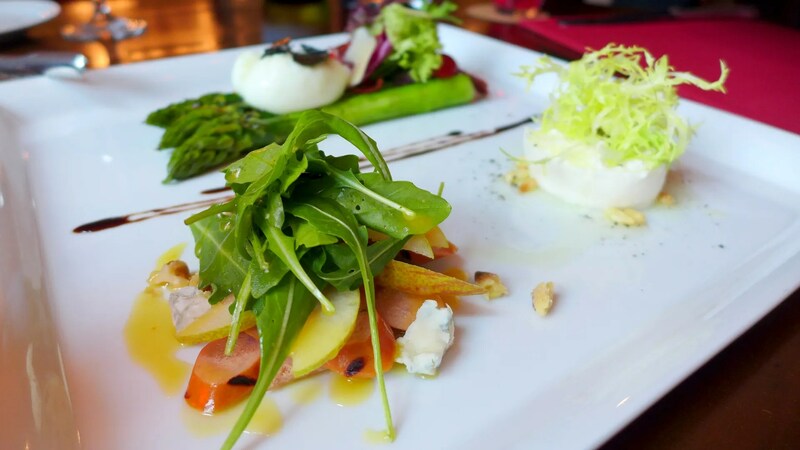 It has gained popularity recently in the Klang Valley and Favola serves a generous ball along with Pine nuts and Frisée and a drizzle of Extra Virgin Olive Oil. Cutting through the thin ‘coat’, a soft and creamy curd spills out gloriously. Taste wise, it has delicate flavour with slightly sour finish, making it a decadent treat. Favola has a Wood-fired oven to cook the perfect pizza crust. 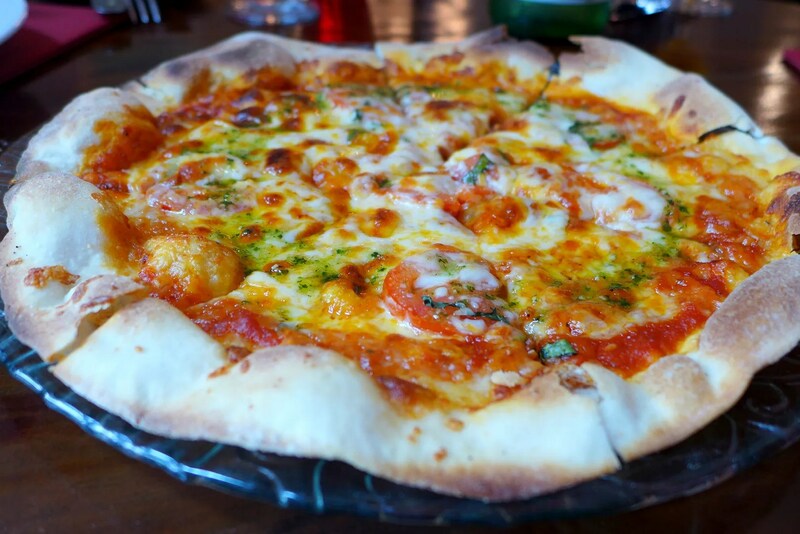 For a vegetarian meal, try the Favola Pizza with tomato, mozzarella, parmesan cheese, olive oil and basil pesto. The pizza crust is thin with puffy sides and some charred bits, while the toppings are fresh and simple, with the basil pesto infusing that extra herbaceous note. Frank was a very happy boy after devouring almost the whole thing. 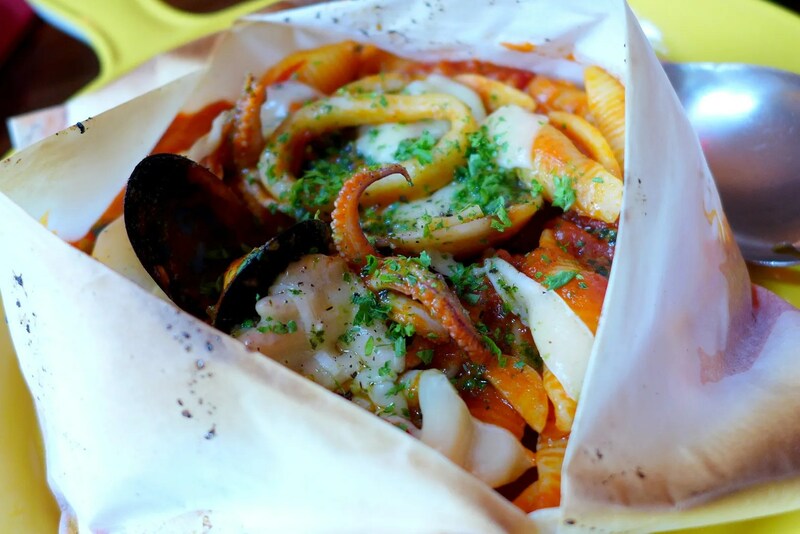 Conchiglioni Marinara al Cartoccio refers to shell pasta baked in parcel with seafood in tangy tomato sauce, extra virgin olive oil, fresh herbs and Parmesan Cheese. Breathe in the lovely aroma before indulging in fresh pieces of calamari, mussels, prawns and fish. Be sure to fill each shell with the delicious sauce because it’s too tasty to waste. I certainly couldn’t stop myself and instantly regret it when the next dish came. 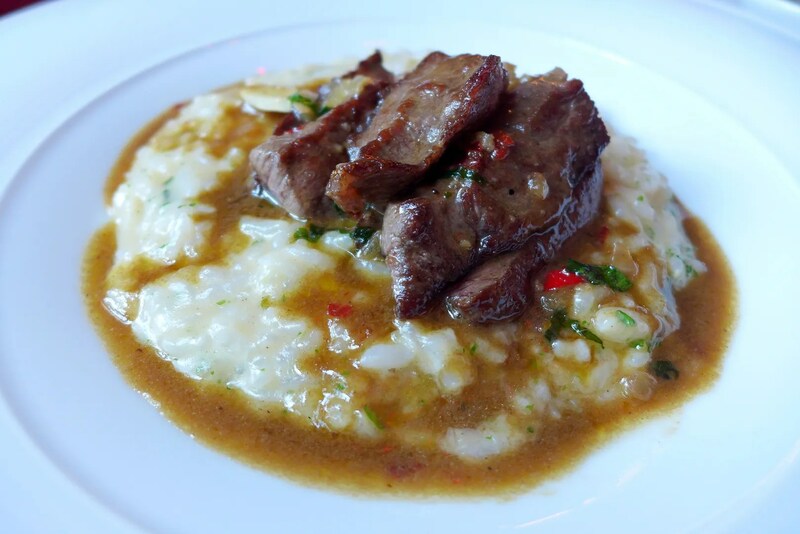 Do not miss out on the Risotto con Carne di Wagyu Manzo Saltati, an Italian rice dish cooked in stock and Wincon Wine (non alcoholic), flavoured with garlic, basil, chili and served with tender sautéed Wagyu beef strips. Rich, meaty, creamy with a nice kick of spice, it’s nothing short of amazing. I will admit I cleaned that bowl edned up passing out at home for a couple of hours before my show. Food coma is worth it when it’s this good. Meat lovers can go for the Charcoal Grilled Grass Fed Angus Rib Eye Florentina with grilled lemon halves, balsamic vinegar, grey salt and your choice of sides. The truffle mashed potato of course, is highly recommended. 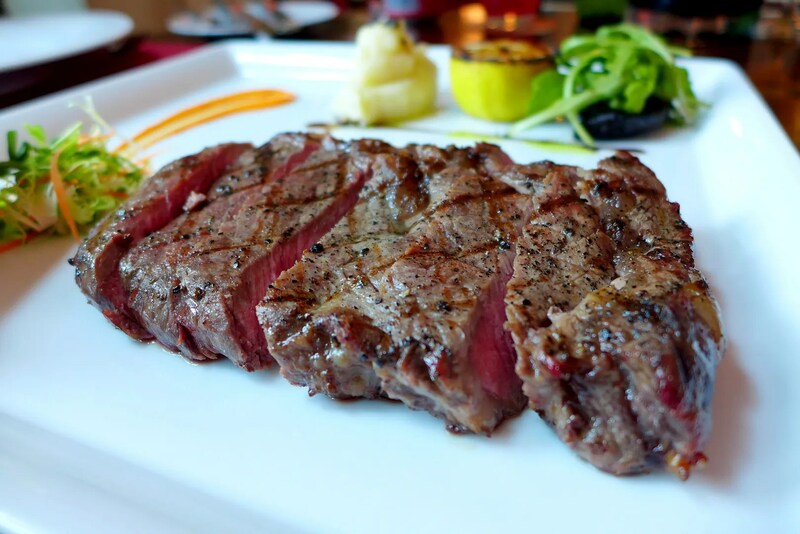 The steak is cooked to desired doneness and has just sufficient amount of fat for that extra juiciness. I could only manage 2 strips, what a shame. 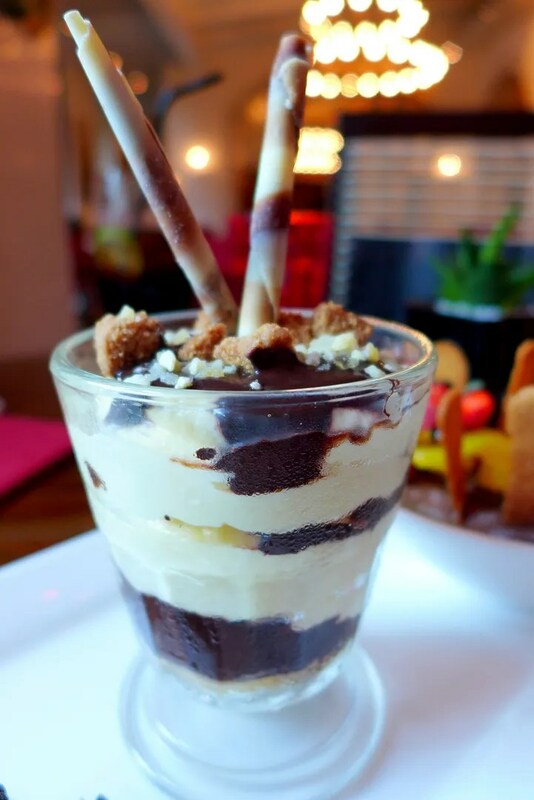 If you still have enough space for desserts, make sure you give the Illy Coffee Inspired Tiramisu a go. Presented in a glass, their modern take of Tiramisu is creamy with layers of soft sponge soaked in freshly brewed Illy coffee, panna cotta, mascarpone foam and topped with cookie croutons. But the best bits are the popping candy for the surprise element. 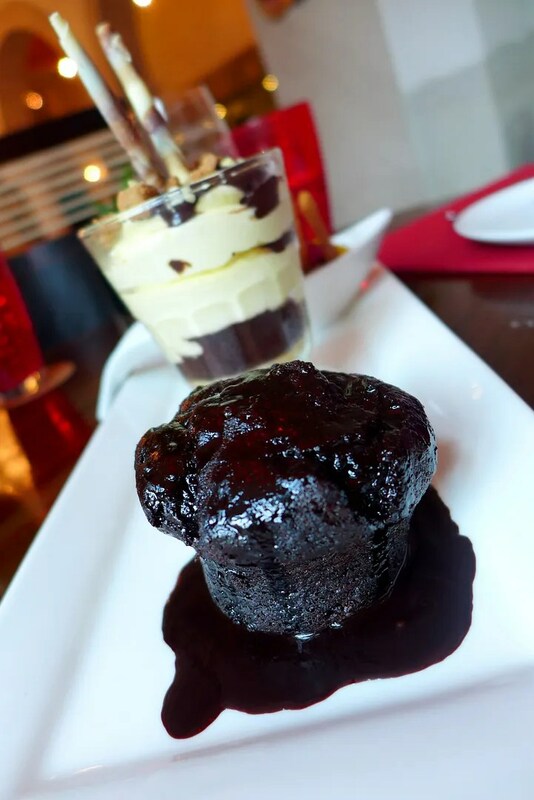 Their Warm Chocolate Pudding is almost pure black and will satisfy all chocolate lovers. 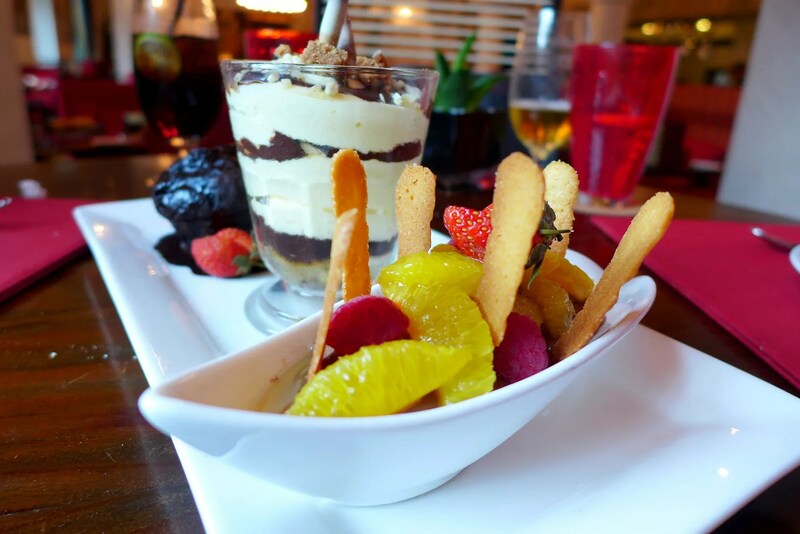 The Chocolate Mousse here is paired with a fresh orange salad, a match made in heaven. No matter how great the food is at a restaurant, the hospitality is another important factor for the complete dining experience. Favola excels in this department, with friendly and knowledgeable staff who will put a smile on your face. Look out for the giant pepper grinder for extra amusement too. Level 8, Le Méridien Kuala Lumpur, 2 Jalan Stesen Sentral, 50470 Kuala Lumpur, Malaysia. Everything looks good here, Kelly. Especially the pizza. 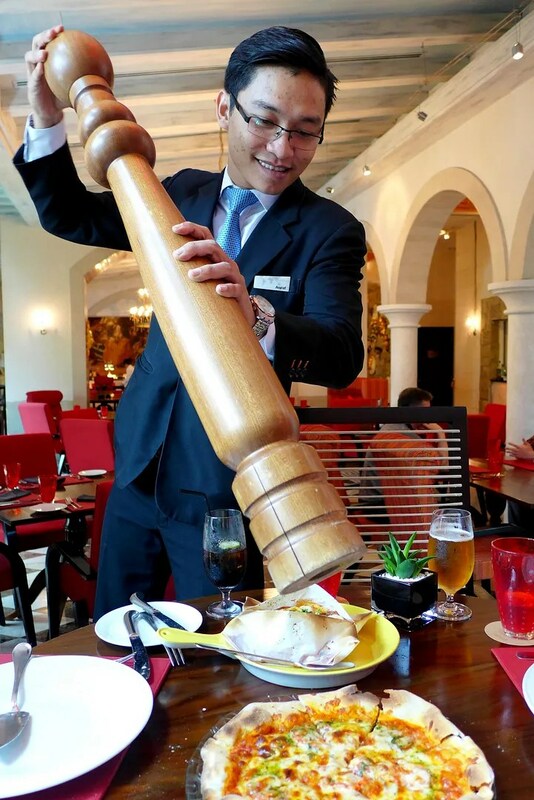 And seriously, that pepper grinder is huge! Its not my first time to pay a visit this web site, i am browsing this website dailly and take fastidious data from here every day.